Reading is a process of converting written symbols into phonological code, and then accessing semantic memory to understand the meaning of what you have read. Reading has countless benefits, starting from blatantly making you smarter, to reducing stress and helping you fall asleep. Studies found that habitual reading makes you smarter and keeps you sharp. No matter what you want to achieve: reading is a great way to get there. Analytical and critical thinking is driven by reading. In addition to improving general knowledge, readers can detect patterns faster, and are better at analysis. Reading stimulates brain activity and strengthens the neural connections. It improves the capacity for reasoning, mental agility, concentration and memory. When you read a book, you have to remember the characters, information about them, places, history, all through each story. Our brain is amazing – every new memory helps to create new neural pathways and improve on the old pathways. It’s fascinating, isn’t it? In the era of the Internet, the focus often becomes scattered in many directions at the same time. In just 5 minutes, an average person will divide their time between work, checking e-mail, chatting, Facebook, and maybe even playing a game or two. This may often increase everyday stress and reduce productivity. When you read, your attention is focused on one story, everything else “disappears”, and you can immerse yourself in the details. Try reading for 15 to 20 minutes before work or school, and you may be surprised on your new levels of concentration. Regular reading automatically increases your vocabulary. The more often you are confronted with new words, the easier they are to learn. Increasing vocabulary is especially crucial for writers. Successful writers will tell you that to write well you need to read. Every day. A robust vocabulary, however, is not only is beneficial to writers. Rich vocabulary helps to be able to express ideas, no matter how complex they may be. The University of California has found out that reading affects one’s writing style. The author’s style “rubs off” on the reader. A recent study conducted in New York showed that reading promotes empathy. A novel offers a unique perspective into the inner world of the characters, in a way that theatre or cinema cannot. Readers learn to put themselves into their counterpart’s place and understand them better. The world of fantasy helps to expand one’s imagination. Regular reading has positive influence on creativity, and creativity is important for successful dealing with different life events. Reading is “the cheapest way to travel”. One gets to know of new places and foreign cultures. Readers see out of the box and broaden their horizons. Stories give insight into the lives and thoughts of others. Studies show that people who frequently deal with complex intellectual tasks and constantly challenge their brain, stay mentally fit longer. Regular reading is a good prevention of diseases like Alzheimer’s. Life can be pretty challenging, and it can be difficult to rest after a stressful day at work. Reading can help. You can leave your hectic everyday life behind for some time and escape into the world of fantasy. Many people have difficulty falling asleep. Thinking of the day’s events makes it difficult to “switch off”. Reading a book helps the brain to calm down at the end of the day. Which country has more habitual readers? According to international research, Japan ranks #1 in the habit of reading. 91% of Japan’s population are unaccustomed to reading – on airplanes, bus stops, in the parks… it is common to see a Japanese citizen with a book in hand, an e-book or a laptop. 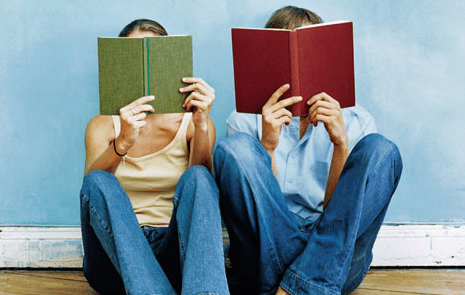 60% of Europeans have read at least one book in the last twelve months. Reading is one of the main ways of learning, and one of the most important educational advances in the past centuries has been the increase in the percentage of literate people. However, knowing how to read does not mean that the person will be reading a lot in their life – the problem can develop in the childhood, if the parents do not give importance to books. If a child does not develop a good reading habit, they may face certain challenges in their future life. It is essential for parents to know the benefits of reading and to help create the habit of reading in their child.